And, National Long-Term Care Awareness Month! Why do I put these two together? Because diabetics are 65% more likely to end up with Alzheimer’s Disease and need Long-Term Care (LTC). Alzheimer’s has been called type 3 diabetes in some circles. About 9 years ago the connection was discovered in medical research. I am diabetic so I pay close attention to such things. Diabetes can lead to many conditions requiring LTC, neuropathy, loss of limbs due to degraded circulation, and much more besides Alzheimer’s. 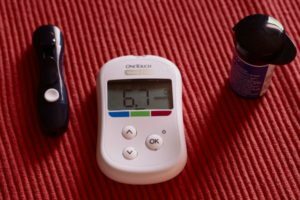 LTC insurance companies have also paid close attention to this, making it much more difficult for diabetics to get such coverage unless their A1C (a measurement of how well you have been doing over the past several months) is controlled very well. One very well-known insurance company was the last company offering LTC insurance to insulin dependent diabetics. Perhaps this was not the entire reason, but they have had significant price increases on some of their older policies, and are now exiting the business. Just last month, a new insurer has begun offering LTC insurance, the first new entrant into this field in a couple of years. The industry has learned which health conditions are likely to lead to claims, and which ones are not of concern to them. Additionally, interest rates are beginning to rise, and insurance companies make most of their income on the interest earned on their savings. Thus price stability will be much better going forward. Since diabetes is becoming very prevalent, Alzheimer’s disease is as well. By 65, one in eight has it. By age 75 it is one in four, and by age 85 it is half of us according to the Alzheimer’s Association. How long do you plan to wait before investigating LTC insurance for yourself? The good policies include an automatic inflation feature that makes the benefit rise each year to keep up with inflation, while the price is designed to stay level. Waiting to purchase this coverage is like waiting and saving up to pay cash for your first home. The target keeps getting larger each year – just out of reach. Once you purchase LTC insurance, inflation starts working FOR you not AGAINST you. If this keeps you up at night, investigate with an expert. We have done nothing but the financing of LTC for 24 years now. We know the REAL costs, not the surveys of national “averages”, we know how the coverage is used, and why most people need less of it than they initially think. Give us a call at (920) 884-3030 and schedule a time to investigate for your situation.